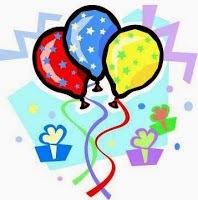 A Rat's Nibble: Happy Birthday, A Rat’s Nibble.! 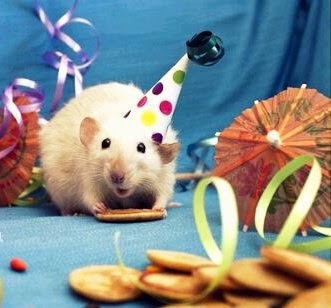 Happy Birthday, A Rat’s Nibble.! It was like only few months back when I first started scribbling with my nibbles but with days passing so quickly, A Rat’s Nibble has grown to be a 2 year old toddler today. Amazed I am, when I think of it. Happy Birthday, A Rat’s Nibble. You just turned two!! Two years ago, on this very day, I created my space here as I needed escapism from my dull days. I’m so glad I initiated with a blog, which sparked my interest and introduced me to a totally new and a wonder world where I can be completely myself. *Completely myself, eh? But why did you choose to be a Rat? * you might want to ask. Having met some great people here and made few good friends who encouraged and mould me to be a better nibbler, I think I did manage to create a stir with my pebbles, now and then. While I have read many awesome writings from you all, I also have learned a lot and there are more things yet to learn, as I am still a novice blogger. Thanks to everyone of you who journeyed with A Rat’s Nibble patiently bearing my slight (?!) craziness, because you alone help me to survive in this beautiful world. Again on this fine occasion, a dull bulb flickering above my head, making me to look for yet another harebrained idea to think what kinda party I should throw and amuse you like last time. I remember how much I was super excited with your support and encouragement for my ‘NibblePromptly’ Fun Contest on my blog’s first birthday. Wish you all luck for your future endeavors in this creative world. Keep writing and keep entertaining your readers. Looking forward to see more interesting stuffs coming out of the Rat's brain. Happy Birthday to 'A Rat's Nibble' and Happy Friendship day to you! Happy Birthday and happy friendship day A rat nibbles . wow! 2 years :) congrats!! How sweet this is, Meera! Congrats for this milestone! Bestest wishes for many more! Let more years follow so that you could nibble more! a Rat. Er.. Meera, a Lifestyle Blogger, Photography Enthusiast, Creative Writer, Foodie, Brand Promoter, Book Reviewer and Travel Lover. I love to rhyme with words while I pen down my thoughts. I love to capture little moments that make me happy and I believe my visuals speak more than my words. I scribble Stories, Poems, Reviews and more to make my world special. A Bit Of This And A Tad Of That! Read & Fall In Love! Meera's. Watermark theme. Powered by Blogger.